Hi. My name is Beverley Sykes and I’m the owner of Superscript Proofreading. I live in Solihull, in the West Midlands, UK, and I’m a native English speaker. I’m a professional and fully trained proofreader and have been running my proofreading and copy-editing business since 2009. Below you’ll find a bit more about my background. I hope that what you read here will help you to place your trust in me and the work I do. I have a 2:1 Bachelor’s degree in English Literature and History (University of Kent, Canterbury, UK, 1989). After leaving university, I studied Law and became a solicitor in 1992, specialising in Personal Injury Law as soon as I qualified. 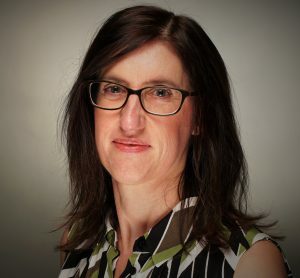 In 1998 I gained a Diploma in Personal Injury Litigation from Manchester Metropolitan University, and I became a partner in a specialist civil litigation practice in Cheshire in 1999. Proofreading my own writing, including letters and court documents, was something that I did on a daily basis while I was a solicitor. Sending error-free letters that were easy to understand was essential, and of course court documents must be accurate, complete and without ambiguity. At the end of 2001 I decided to leave the practice to become a full-time mum to my baby and toddler and enjoyed this very much for eight years. After a lot of careful thought, I trained to become a proofreader. I’d decided that this career would be the one that best suited my skills and interests. In 2009 I gained a Pass with Merit of the Basic Proofreading course run by the Publishing Training Centre, the organisation that is responsible for the development of the UK’s National Occupational Standards in the publishing sector. Since then I have attended the Introduction to Copy-editing course run by the Society for Editors and Proofreaders (SfEP) and completed a recognised home study course on copy-editing. I have attended a workshop on macros and a skills swap workshop. 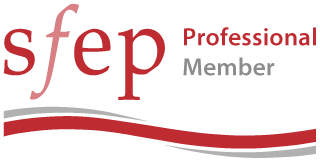 I am a Professional Member of the SfEP, which is a professional organisation based in the UK for editors and proofreaders; one of its main aims is to promote high editorial standards. Since the summer of 2015, I have been co-running the South Warwickshire and Coventry local SfEP group. In September 2016 I attended several workshops at the SfEP’s annual conference, and I attended the conference again in 2017. I wrote a blog post about attending the latter, which you can find here. I started my proofreading and copy-editing business in October 2009 and love my second career. Working with words has always been where my heart and my talent lie, and I take great pride in working on and improving texts of all kinds. I have a core of loyal clients, many of whom I have been working for since my business began. Repeat work is something I really value, and I thoroughly enjoy forging relationships with clients over several years. This has been and continues to be something that makes much of my work even more of a pleasure. Please visit my Testimonials page to see what some of my clients say about my work.